Finding a web host can be a little tricky and can go 2 ways. either good, or very bad. in this post I’m going to talk to you a little about how you can find the best web hosting solution for you website and explain why it’s so critical that you get it right. This is going to apply for Australian businesses and websites, so if you’re outside of australia. use this guide but replace it with your country or origin. Many small businesses don’t quite understand how important it is to know where your site is going to be hosted. It’s often translated to be very simple. Find a web developer to develop your site and host it. and to some people that’s all that matters, as long as it’s online it’s all good, right? Actually no. Well not always. Location, location, location. Surely you’ve heard that before when buying real estate. the same kinda thing applies for your website and where it’s located in the world. In the eyes of Google anyway. If you’re an Australian business and most of your customers are in Australia. why host your website in America? Some people may say, well aslong as it’s a .com.au domain or you’ve targeted the location in Webmaster tools, it should be okay. and in most cases yes, it is. but there are other things to consider that these so called “professionals” with “opinions” don’t tell you. and it all comes down to logic. See, the further away you are from a server, the longer it will take to load. Google takes into consideration the speed that your page loads at, and how long it takes to actually loads. Ever clicked on a website in google and waited forever for it to load? Probably not. unless you searched specifically for that site. Google is a business too, and it’s customers are people who use google. so if google was to give us slow, crappy sites in search results, we won’t trust it to find the best content for us to view. So the further away you are from the server that the website is hosted on, it’s going to load slower and affect your google rankings in your location and where your customers are. So if you are in Sydney, and your customer base is in Melbourne. it’s best to get your site hosted in Melbourne the closer the better I say. how can you find out where the server is hosted before buying an account? and putting in their domain name. This isn’t the best way to find out if they Host in your location though. You’d need to ask them and find out. Speed is another thing that you must take into consideration when finding a host for your beloved website. You could find that a Server in your suburb but it could be congested, poor quality and simply just slow! This is a big no. It defeats the purpose of finding something local. Unless you know someone hosting on the server currently. It’s always good to look up reviews online of the company and see what they’re saying. It’s also to wise to find out if there are any bandwidth restrictions. many cheap companies limit the bandwidth allocation for accounts which makes your site load slower when multiple people are viewing it. and 10 people view your page at the same time. Then those visitors would have to wait up to 10 seconds just to load your website. This is a real big problem for websites that have lot’s of visitors, and remember that Google, Bing and yahoo will be crawling your website too indexing all your pages. so that will slow things down a lot! PS. CrazyDomains is a big no. Why? Well it’s simple. With the amount of spammers and scammers online today, they’re all looking for a cheap way to distribute their Scams and Spam emails to people’s mailboxes. This can result in the hosting providers IP addresses and network being blacklisted. And will result in all your legitimate emails being sent to customers Spam box. Not only that but cheap providers don’t really care about who hosts on their network as long as they’re getting their money. So you could be sharing a server with Spammers, Scammers and websites that are infected with Malware, and google doesn’t like that. It’s very uncommon for a spammer to buy a hosting account for $200/py just to send out spam for a day and have their account removed. for breaching the company’s Terms of Service. See companies that charge more for their hosting service usually crack down on users who are using their servers for things like Spamming and Scamming because their reputation and money is on the line. So find a Host that is a bit more expensive and you’ll find that your neighbors on the same server are nice people who won’t be sending out spam emails and causing your emails to be marked as spam too. 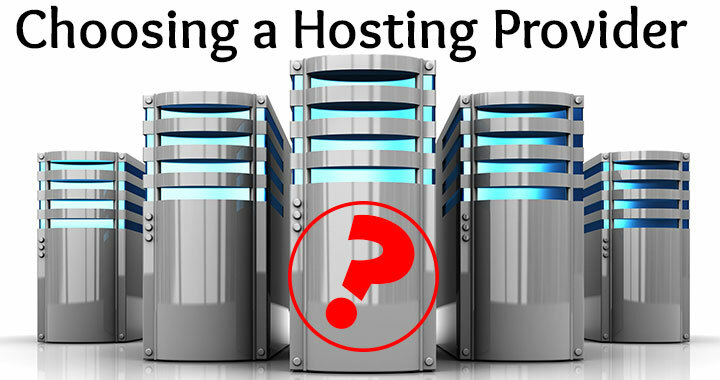 Should you use a hosting company? Well, this is a big question. See companies like Digital Aurora have their own Servers which are used exclusively for our clients. this means that we know exactly who is being hosted on the server and we know that there’s no one sending out spammy emails and causing issues for everyone else. Companies like us are hard to find because often Web Developers just use a 3rd party to host clients website to reduce the costs on their side. And sad enough to say, most of them use cheap hosts like Crazy Domains and Godaddy. So if you’re getting a website built somewhere other than us. Please make sure they tell you where you’re being hosted. Oh Security! We can’t stress enough about it. and everyday is a sunny beautiful day until you get hacked. How can you find a host that has security measures in place to stop such a thing? Honestly, there aren’t many that do. infact. I can’t even say that there are any at all! Security means more than just Brute Force protection. For those that don’t know what that is. Bruteforcing is a way a hacker can gain access to your account by using a piece of software loaded with millions of common passwords that attempt logins at a rate of hundreds or even thousands per second. This is why you need complex passwords, because they would take longer to crack by a brute force program. But there are other forms of Hacking that aren’t protected by literally any hosting provider. And that’s HTTP exploit scripts. Our servers are protected from that type of nasty stuff. and we even have a log that tells us how many files were blocked from being uploaded. Files that has PHP scripts that could compromise a whole account. not just the website. these scripts can be uploaded from the front end of basically any website. Once the script is on the server, the script get’s valuable information like SQL tables which may include Credit Card details, usernames and Passwords, even your Account or Website login details. and emails it all to the hacker. From that point on your website is compromised. Payments made to the website would be sent to someone else instead of you. emails would relay to them instead of you. so you have no idea what’s going on. It can lock you out of your own website while collecting all your money. And it can even upload Malware to your website causing Google to flag your site as unsafe while you watch you rankings die and your online business burn. All because one file was allowed to be uploaded to the server. And what’s even more scary is that a lot of shared hosting companies don’t have any security in place to prevent this type of disaster. A Dedicated IP address is very useful if you want to have an SSL certificate installed on your website. so if you’re planning to have an SSL installed. Remember to make sure you can get a Dedicated IP address. At the end of it all, it all comes down to Pricing and Location. Make sure you get something local. and don’t go for a bargain. doing so will result in complete failure. If you’re really serious about growing your business online. Put in the extra effort to get something a little more expensive. trust me, you won’t regret it. And if you’re looking to get a Web Site developed, then we have you covered. Our servers are the most protected servers you could ever come accross, their fast, efficient, secured and we pay a lot to keep it that way. If you have any questions, Drop a comment and let us know!